*Please note: Review of this study guide is not mandatory, and will not impact your eligibility to sit for the national certification examinations offered by the American Board of Wound Management. 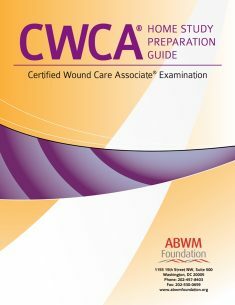 The CWCA examination is open to any healthcare professional with three or more years of professional experience in wound management. 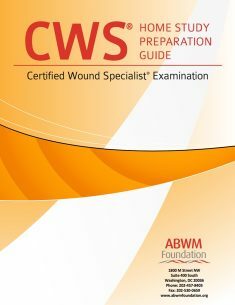 The CWS examination is open to any licensed healthcare professional who holds a bachelor’s degree, or higher, and who possesses three or more years of clinical wound care experience. 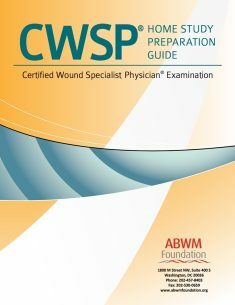 The CWSP examination is open to any licensed MD, DO, or DPM who possesses three or more years of clinical wound care experience. For more information, view the American Board of Wound Management’s Certification Eligibility page. Persons using this study guide to help prepare for an examination offered by the American Board of Wound Management must realize that there is no guarantee stated or implied that review of this document will assure passage of an examination.